WordCamp Riverside checkin with Various and Peter – speakers are ready to announce, I asked that they announce them all asap today and start asking those speakers to share that they’ll be speaking at the event. Push ticket sales. Suggested V write a post for WordCamp Central. They still need a few backup speakers that aren’t members of the org team. Suggested they reach out to localish WordCamp and Meetup organizers for suggestions to recruit some additional speakers. Talked through a way to have a more collaborative afternoon with Q&As and uncoference sessions. WordCamp Phoenix 2018 striving to get back on track with a new early in the year schedule. 500 attendees. 2 days Friday and Saturday. Potentially a contrib day on Sunday. WordCamp Philly last team meeting before WordCamp Philly! Talked to them about the differences between WordCamp US big budget frenzy back to local organizing of a local event. then they moved on to their normal update. Speakers, Volunteers, Sponsors, Food (bringing the food numbers down a bit), Swag, Parties, Speaker gifts and cards, Contrib day, signs, badges, Linens, office supplies, logistics. They are so well organized! DFW has a request for ASL or CART — call with organizer to discuss their options, how to proceed, and that WPCS will pay for the additional expense. WordCamp Phoenix 2018 budget review — approved with $53,000 in expenses and a $10,500 global grant. vetted WordCamp Birmingham application, approved for orientation, orientation scheduled – note that thesis a second year organizer. He’ll need to see if anyone else in the community is interested in stepping in next year. 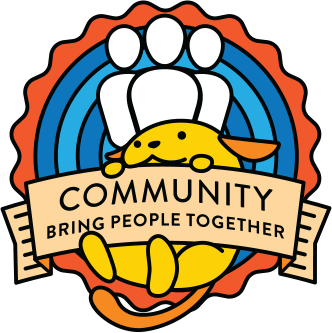 WCUS – confirmed organizer designator lanyards and ordered, decided upon CoC officer designation on badges, finalized decision for speaker gift. Realized with shipping it goes way over budget. Back to the drawing board. Everything is going as planned. They decided against CoderDojo (WC Milano had to provide insurance, tech equipment and a script so orgs decided against it). And in so little time left they probably won’t go with a kids workshop b/c it needs to be well prepared. Vendors are getting paid, volunteer roles are assigned. Three sponsors are still outstanding (because of the money being sent over wire which is taking time) but other than that all is good. Tickets are selling faster now, being closer to the event. 324 tickets sold so far – they will be sold out soon. WC Utrecht have some problems with sponsors and a budget. They misscaluclated how many sponsors they can/want to have. The misunderstanding came from global sponsors that need to be part of the local packages (Gold, Silver, etc.) and how many sponsor spots are left afterwards. The other part of the problem is that a few sponsors decided against sponsoring (and some big ones). They are working on on boarding new sponsors and we will have another check on Friday to see the situation. I went with Sjoerd (lead org) through budget to see what can be left out. There were some miscalculations (errors) in the budget too as they were having their budget in a separate doc. At the end, from the first 3k € difference we came to 1k € and I suggested a few things what can be left out and how/why, after consulting with Hugh. I’ll be monitoring their status closely. Sponsors are being invoiced but they are still struggling with getting them to pay. Eugenio will have another round of calls with them this week to remind them. Tickets are selling slowly (imho at least) but that’s a common problem. Around 80 tickets sold to date out of 400 planned. Will work with Eugenio to see how can we improve that and what are their expectations now, almost a month before the WordCamp. Other things are good, Eugenio haven’t mentioned any other problems. I also mentor WC Kathmandu and Bari but since they are far away I don’t have anything to report at this time.